‘I love the shop and the so many different cheeses you can try before buying. And now the tour of their cheese making facility is really educational' Nick Davies. We openly welcome guests to our working Dairy and Visitor Centre. This is where the genuine magic of our transformation of fresh raw milk into curds and whey takes place. And you can watch the whole process, from start to finish. Our Visitor Centre combines the Dairy along with access to some of our maturing stores and a display of objects associated with cheesemaking over the years. 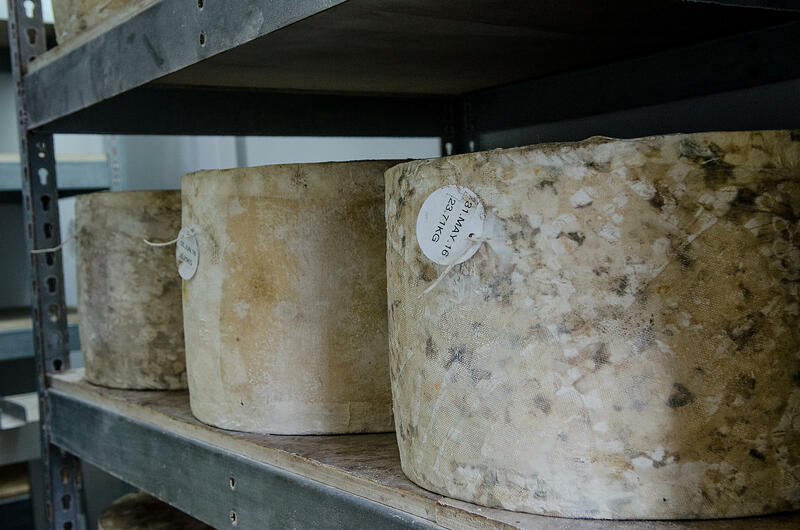 Guests are able to watch any part of the authentic cheese making process as well as viewing the packing room, where our cheese is portioned and prepared for sale. A continuous DVD (approx 17mins ) shows the whole process from beginning to end. Detailed information on each stage is displayed on the walls. 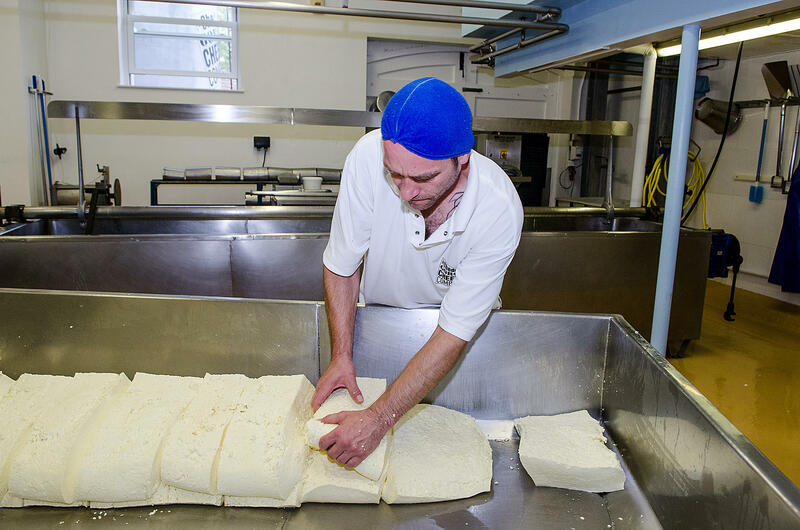 'Excellent selection of cheeses, friendly service and an interesting look "behind the scenes" of cheddar making. Well worth a visit!' Brian Schæfer Dreyer. Pitching the curd The Visitor Centre is open 7 days a week from 10 am. The milk arrives prior to this and will already have started its journey into curds and whey. Throughout the day, various parts of the process can be viewed, culminating in the filling of the day’s make cheese moulds, generally around 3.15pm. 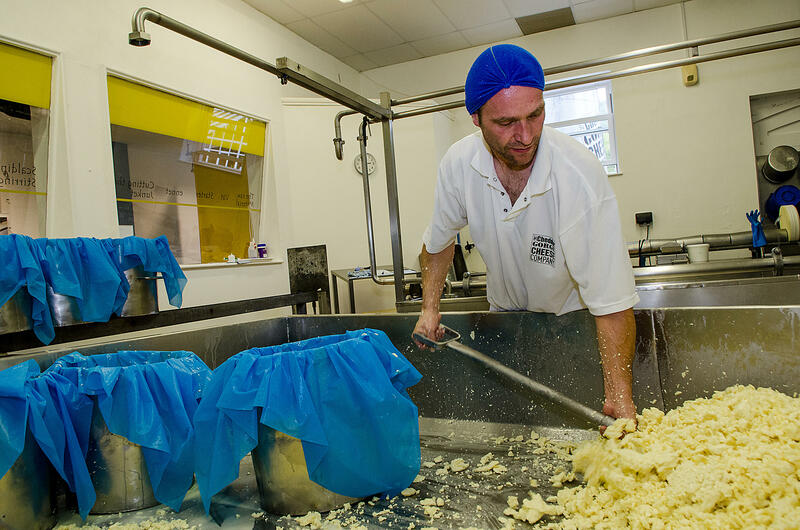 We produce our cheese by hand, in open vats, using traditional methods. Watch our talented cheesemakers transform a vat-full of local milk into traditional, cloth-bound cylinders of cheese every day. Milled and salted - filling the moulds. Our staff are on hand to answer any questions you may have and to help you make the most of your experience and visit. Please have a look at some of our reviews to read what others have enjoyed. Please continue reading below for additional information concerning group bookings. Rates - Our rates for 2019 are £1.85 per person for groups of 20 or more, for less than 20 people the price is £2 each. For any one group, one person in every 30 is admitted free of charge. 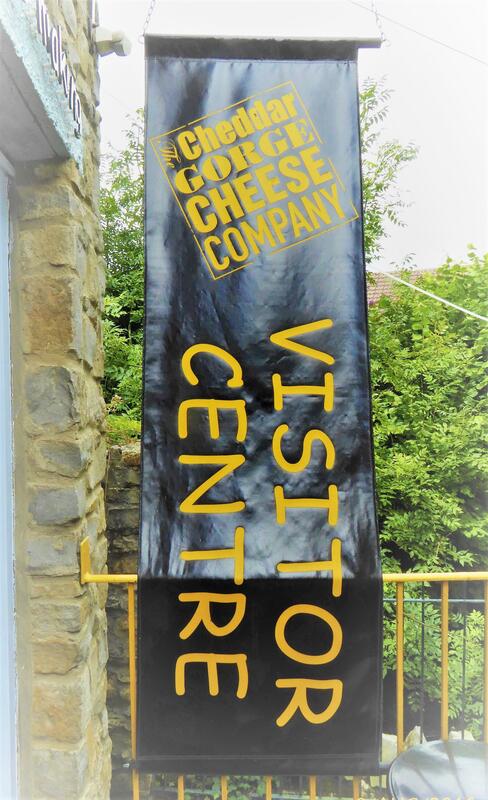 Opening Times - Our shop is open all year round for cheese tasting and making purchases of our authentic Cheddar cheese. The Visitor Centre at the back of our shop where the cheese making process can be watched from our viewing gallery. Opening times 10am to 3pm. For groups of 30 or less, there may be other members of the public in the Visitor Centre at the same time. If your group is 30 or more, the visit is exclusive. The real-time cheese making process takes 7 hours, so it depends on what time the group is here as to how much physical activity there is in the diary at that time. We play a DVD (English or French spoken) which shows the whole process from start to finish in about 17 minutes. There will also be a guide available to answer any questions. Your visit to the dairy will then be followed by cheese tasting in our shop. Payment - Cheques, Credit Cards or Cash are accepted and payment on the day is acceptable on the understanding that we will send an invoice for payment should the group not arrive and no notice has been given. We can also invoice following the visit providing we have the invoice address details prior to the visit. Dogs - Unfortunately, due to the nature of what we do in our Visitor Centre, we are unable to accept dogs into this area. We do have a courtyard where someone can sit with dog/dogs. We have a coach drop off and pick up point only directly outside our shop/dairy. Several coaches use this parking bay during the day so it is important that coach drivers do not leave their coaches parked here for the duration of the visit. Coaches can be parked further up the Gorge but that may be subject to a parking charge from the Caves.